International tourism is one of today’s major growth industries necessitating increasingly more sophisticated management techniques. 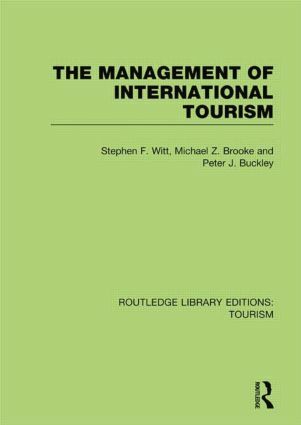 In the light of this expansion and growing significant economic importance, this book provides a comprehensive overview of international tourism, placing particular emphasis on the management of tourism. The book will be of value and interest to both students and academics, as well as managers in the fields of tourism, travel, hospitality and consultancy.